Better Barley Better Beer, in partnership with the World Wildlife Fund for Nature of South Africa (WWF-SA), is in its pilot phase in the dryland area of the Southern Cape as well as in the irrigated barley areas in the Northern Cape. The pilot stage is focused on water reduction, improved carbon footprints, soil health and clearing of alien vegetation (as well as the protection and restoration of ecosystems) and is set to run for approximately two years. The Better Barley Better Beer programme involves a total of 26 barley producers who have either voluntarily opted to participate or who have been engaged because they hold important conservation assets on their properties. These assets include endangered veld, important water catchment areas and critical species. Through structured engagement and advisory support, Better Barley Better Beer is aimed at empowering barley farmers to understand and implement sustainable farming practices, with 15 located in the dryland area and 11 in irrigation. The programme is an important element of SAB’s global sustainable development framework called Prosper, which highlights tangible targets to be achieved by the company over the next five years in the areas of responsible alcohol consumption, securing water resources, reducing waste and carbon emissions, supporting small enterprises, including emerging farmers, and the support of responsible and sustainable land use for brewing crops. Farmers with critical conservation assets will be supported in engaging on biodiversity stewardship with the aim of protecting and restoring ecosystems. The stewardship concept is a new way of achieving conservation protection by creating positive, proactive partnerships with private landowners and conservation bodies, such as WWF-SA. “The WWF-SA’s interest in Better Barley Better Beer is to support farmers as key custodians of our South African natural resource base, with advisory extension support to adopt best practice that ensures farming maintains, protects and restores key natural systems, while minimising the environmental impact of production activities for the benefit of producers, as well as downstream users,” says Inge Kotze, WWF Senior Manager: Sustainable Agriculture. The Better Barley Better Beer Guidelines was developed in collaboration with the WWF-SA, SAB Agriculturists as well as local barley farmers, and it drives the implementation of the programme by each producer. The guidelines provide farmers with criteria, indicators and verifiers to measure how sustainably they are farming. Key indicators contained in the guidelines allow farmers to self-assess their performance using a checklist provided. They are also able to easily identify strengths and weaknesses and develop action plans in order to correct deficiencies. 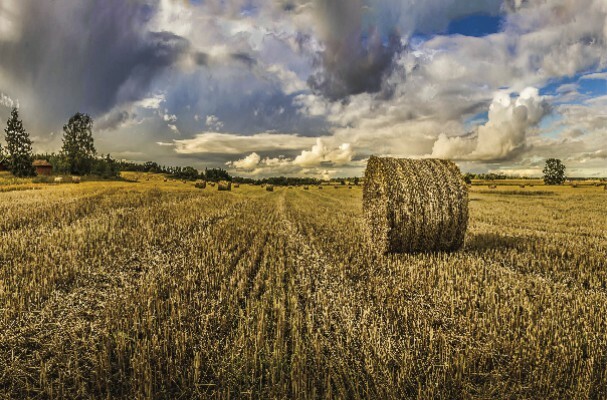 “The guidelines are designed to empower the barley farmer to make the right decisions today to ensure the sustainable production of local barley into the future,” says Thinus van Schoor, General Manager SAB Maltings. The pilot is aimed at reducing the cost and risk of doing business and improving crop production, a ‘zero sum game’ for the farmer. Using key metrics, farmers will be able to track improvement and progress over time to support the development of a business case for sustainable production and they will be able to demonstrate the impact and value of changing practices at farm level and elsewhere in the chain. SAB intends for the Better Barley Better Beer key metrics to be systematised into accepted industry standards, much like the Barley Passport it introduced in the 2005. The Barley Passport contains detailed information on chemicals applied on the produce and only that which is registered will be purchased by SAB. Better Barley Better Beer allows SAB to build on its strategic business objective to help grow the local barley industry and secure its future growth and sustainability. This is in line with South Africa’s strategic plan for sustainable agriculture and the Department of Agriculture’s policy for sustainable development. Through Better Barley Better Beer and other sustainable agriculture initiatives, including the construction of a multi-million rand SAB Maltings plant in Johannesburg and its Go Farming programme (which is geared at establishing and supporting emerging farmers), SAB intends to source more than 90% of its barley requirements from local producers. “Having a fully-fledged and sustainable local barley sector means SAB can rely on contracts with local producers for approximately 93% of its brewing requirements, enabling us to hedge against volatile global commodity markets and, just as importantly, to keep tighter control of quality and ensure a sustainable barley growing sector,” says van Schoor. Historically, SAB has played a pioneering role in the South African barley industry. It began growing barley locally more than three decades ago, a strategic attempt by the company to become self-sufficient. Since those early days, SAB’s support for the local barley industry has strengthened considerably and the company is today regarded as a critical role player. The strategic industry partnerships it has developed, as well as its close working relationship with producers, is what has helped to yield successes and drive further sustainable growth. “Our collaborative approach within the agricultural sector has proven to be the most effective method in creating sustainable growth, which is a key objective of any SAB investment. The existing knowledge and skills within the industry is invaluable to success,” says van Schoor. This focused commitment by SAB to investing in the local barley industry extends to developing and supporting a more inclusive environment with equal opportunities. These efforts stretch as far back as the early 1990s when SAB initiated the Taung Barley Farmers Project in the Northern Cape. The programme has helped to encourage local barley production and create a sustainable source of income for smallholder farmers and it now supports more than 120 smallholder farmers, each generating a sustainable income with guaranteed access to market as supported by SAB. About 160 000 tons of barley are currently grown in the Southern Cape and a further 55 000t (64 000t in 2013 and expanding to 94 000t tons in 2014) are produced in the irrigation areas of the Northern Cape. 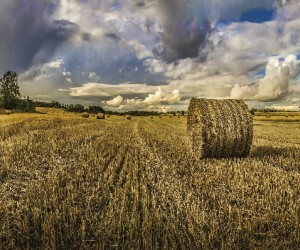 SAB helped establish South Africa’s barley growing sector in the 1970s, a strategic move to become self-sufficient in producing the key brewing ingredient. The next phase of the Better Barley Better Beer pilot will be the roll out of specific guidelines to small scale and emerging farmers in the Taung area. These guidelines will be tailored to focus on training the farmers rather than auditing them.